The highly anticipated Dairy-Tech event will be held at Stoneleigh Park, Coventry on Wednesday the 6th of February. 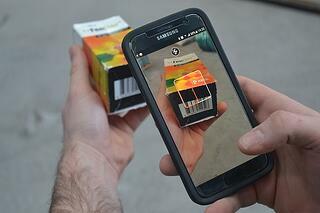 Dairy-Tech is tailored for the new generation of dairy farmer, manager and technician alike. The event will showcase ground-breaking technology, introduce a fresh range of innovative products and services and pioneer new global concepts in management efficiency. Regardless of their cost base, future successful dairy businesses must be informed, resilient, proactive and efficient; Dairy-Tech provides this platform, alongside a recognition that dairy farming has become a professional industry. Meet the Herdwatch Team at stand I29 at Dairy-Tech on Wednesday, 6th February. The Herdwatch team will be attending Dairy-Tech. 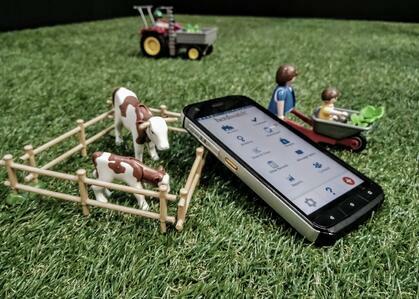 At stand I29 there will be the opportunity to road test out groundbreaking technology and speak to our team on Herdwatch's award winning features such as, the Farm Medicine Scanner. Visitors will also get the chance to test out a demo version of the Herdwatch app so they can get a feel for just how easy it is to use. At Herdwatch we understand the pressure and strain that farmers are facing with increased paperwork. With that we made it our mission to to help farmers protect their farm income by taking the paperwork and hassle out of farm compliance. The ‘Innovation Hub’ is set to feature the very latest products, equipment and knowledge in the industry. Visitors will have the chance to hear about the very newest products on the market where companies will be profiling their products through the ‘Innovation Hub’ in the form of short presentations. 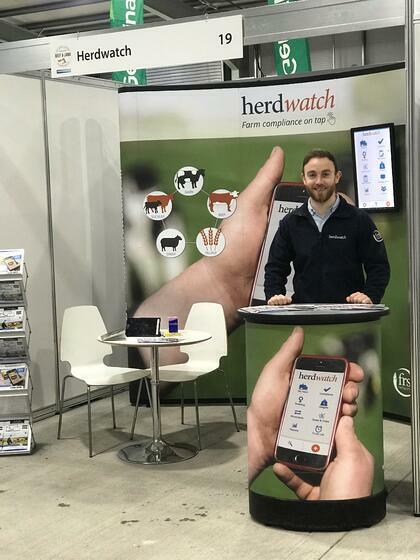 James Greevy, Herdwatch Head of Product and Marketing, will be speaking at the Innovation Hub at 2.25 pm on the subject of 'Data is king' and how to simplify your farm records. So, whether you’re looking for fresh ideas, to find out more about innovation, agri-tech or smart farming solutions be sure not to miss it. Next Have you Herd the latest? All you need to know on the new cattle movement regulations.